I am from Wisconsin and moved to Minnesota about 6 years ago and live with my boyfriend and cat Ebbie. I am a digital marketing project manager for Rocket 55 specializing in search engine marketing and optimization. I blog sporadically under the name BadCat Quilts (named after the most frequently used phrase in my sewing space, as Ebbie can’t keep her paws off projects) and I also have a Flickr page with the same name. I have been quilting about 5 years and learned from books and online (YouTube, baby!). I have picked up a ton of great information from talking to other quilters as well. 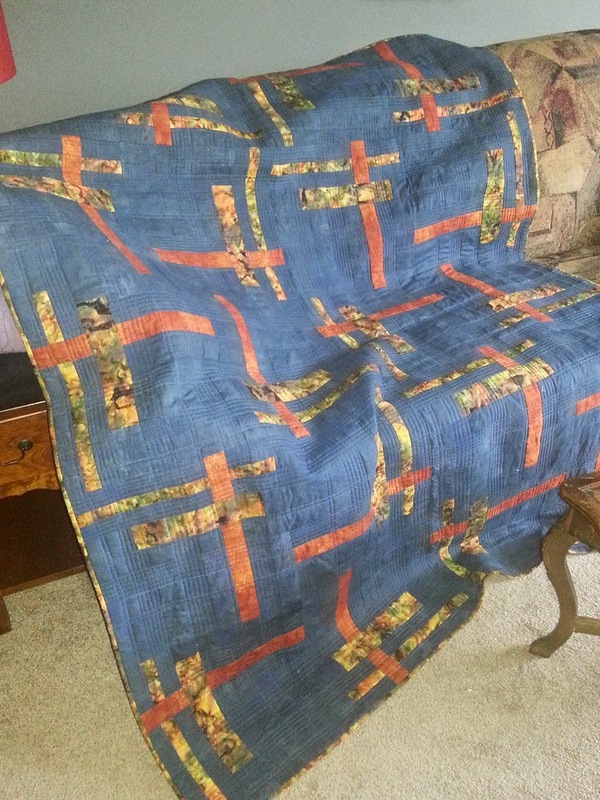 I have completed about 50 projects, from small table runners to large bed size quilts. I do have some active projects I am working on right now, but I only have a couple UFOs. I tend to complete what I like or toss/repurpose failed experiments. Probably about 10-15 hours a week, depending on my mood. Some weeks I don’t get any sewing in and some are work/sew/sleep weeks. Both my first projects are quilts only a mother could love. So, they are in my mother’s house. The first was a table runner using a free pattern from AllPeopleQuilt and the second was a lap quilt using a tutorial I found on a blog. My favorite quilt is usually the one I am currently working on and right now, that would be a large paper-pieced project for my mother’s birthday. But I do have a special place in my heart for one that I did for a Ronald McDonald House charity auction, with stylized ‘houses’ in reds and yellows. I tried to create a more contemporary version of a pattern and I really liked the result. And the quilting turned out well too. I am in the process of moving and so my sewing room is going the way of the dodo. I will have dedicated space in the new dining room, so it will be interesting to see how that evolves and if I get neater or sew more now that it will be more readily visible. I sew with movies on, mostly things I have seen before and can easily tune in and out. I also combine sewing with my binge-watching habits. Yay, Netflix! I have a tall set of rolling wire baskets that I got at Ikea and I love it for my stash. I separate by color family and can see everything in the basket, so my stash stays top of mind. I buy in two different ways – to inspire a project or to complete a project – so I will buy fabric without having a particular plan in mind, but not a ton. After picking a pattern, I typically shop my stash first, especially if it is a new technique I am trying. I love that there is always something new to try and I love the process – a series of decisions that can all change the look of the final product. My least favorite is basting. I put off quilting my projects just because of that step. I am currently working on breaking out of the stipple. I have had some success, but am looking forward to more. Long-term, I would like to start using the scraps I have been saving and cutting into pre-set sizes. My containers are full, so it will have to be soon! I would also like to tackle needle-turned applique. I have done a bit, but not well. Don’t be afraid to fail. 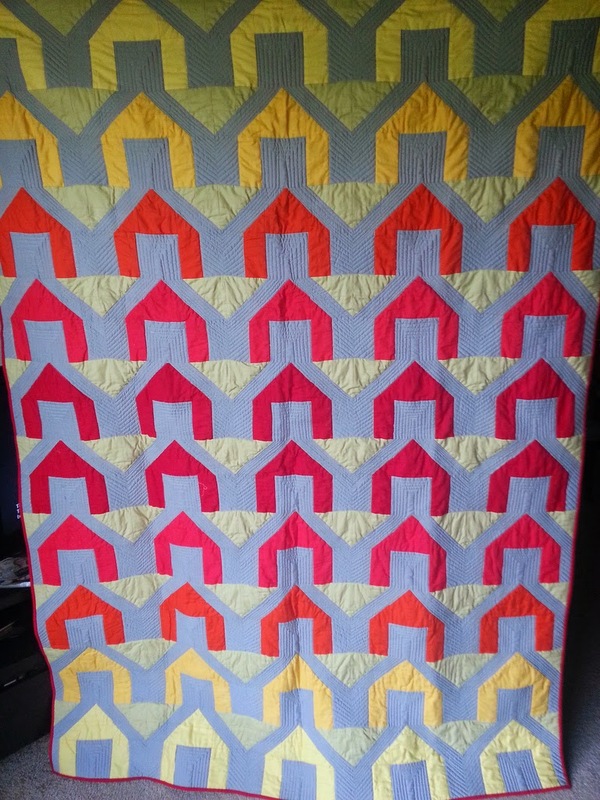 I see too many people look at someone’s 50th or 100th quilt and say “I could never do that”. They forget that everyone started somewhere and quilters are much more likely to share our successes than our failures. Also – if you are stuck in a rut, just start. Make a decision and go. Combine a bunch of charms into HSTs or sew strips into sets and cut at angles or grab a scrap basket and start sewing things together. Sometimes the best way to come up with a creative solution is to sew yourself into a corner.